If it wasn’t obvious the following video contains spoilers. I’m at a loss for words. Who’d have thought that Sonic Team’s fervent interest of shoehorning numerous monsters, demons and demigods as antagonists would lead them so far as to remove one gaming’s most beloved, memorable villains altogether? His murderer was Bomberman? So that’s why we haven’t seen him in any new games. Its all makes sense. Years of plotting and he dies running up a loop. I guess he was . . . . *puts on sunglasses* running in circles. ~Yeaaaaaaaaaah! Lol heck no. That’s Garry’s Mod. LOLDUDE. it’s garry’s mod i even made this map myself.. 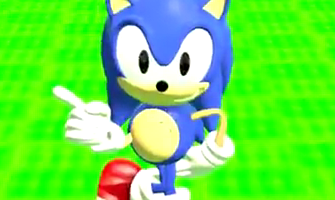 I love how it zooms in to Sonic’s face like yup that’s what I’ve been wanting to do for a looong time. FAKE!!! This is obviously the cutscene from SHADOW the HEDGEHOG!!! lol eggman will never die unless sonic kills him while supersonic. Sonic 4 Episode II Achievements. Defeat the final foe and watch the ending – Possible Knuckles reveal cutscene? You forgot White Park Zone. Ghostcape, your link is NOT a leak. A leak is when something is put up, and taken down shortly after. These achievements also contain colored pictures too, and are from xboxachievements.org! lol. Those really shouldn’t count as spoilers. It was pretty obvious from the start that Super Sonic was going to be included. NOOO! I CAN’T BELIEVE THAT HE WAS KILLED BY BOMBERMAN! I’m gonna boycott this game now, just watch. 0-o sad but funny for one reason that I will try to figure out but tsk tsk tsk.